"There are three things in life that people like to stare at: a flowing stream, a crackling fire, and a Zamboni clearing the ice." 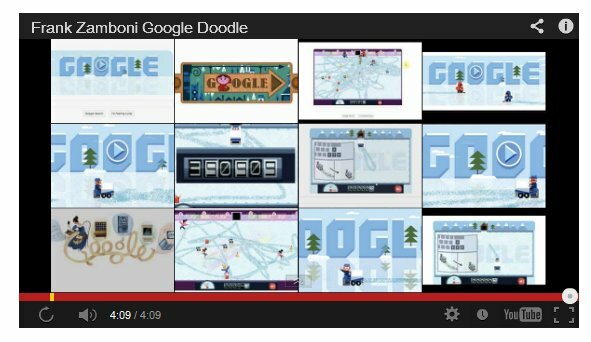 Google is celebrating the 112th birthday of Frank Zamboni, inventor of the ice-resurfacing machine, with an interactive Google Doodle that is an interactive game where the player must clean the surface of an ice rink using an ice resurfacer. 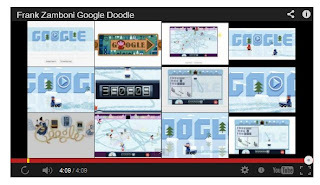 Happy 112th B-Day to Frank Zamboni born Frank Joseph Zamboni, Jr. (January 16, 1901 – July 27, 1988). 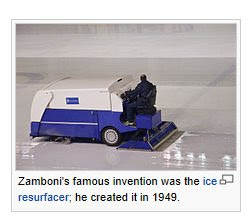 Zamboni was an Italian-American inventor, world known for his famous invention,the modern, ice resurfacer, with his surname being registered as a trademark. Since the early 1950s, the Zamboni has become a cultural phenomenon and holds a very special place for many skaters’ (and non-skaters’) hearts for recreational skating, professional skating, professional ice hockey and other sports but particularly the beauty and magic of turning worn out ice into pristine work of art. Even Charles Schultz, creator of the cartoon characters, Snoopy, along with Charlie Brown and his friends have long been favorites of the Zamboni Company. In 1991 Snoopy was winner of the prestigious World's Top Zamboni Driver award. 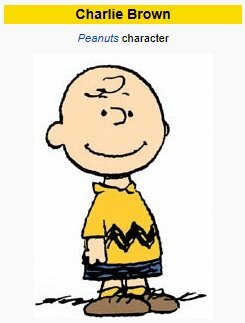 Charles Schulz has included Zamboni in 44 of his famous Charlie Brown cartoons. 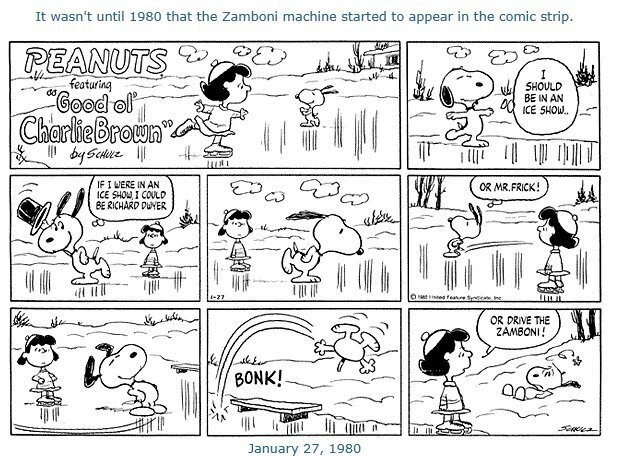 Schulz first included the Zamboni in his famous PEANUTS comic strip in January of 1980. 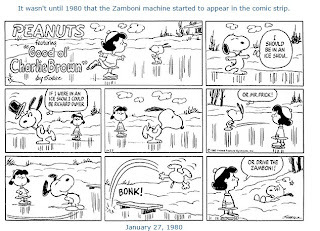 Snoopy, Charlie Brown, Lucy, Marcie and Peppermint Patty have often commented on the machine with Snoopy and Woodstock becoming two of the most famous Zamboni drivers…in fact, Snoopy's outstanding and unquestioned talent as a Zamboni operator won him the prestigious World's Top Zamboni Driver award in 1991. Zamboni was born in 1901 in Eureka, Utah to Italian immigrants. His parents soon bought a farm in Lava Hot Springs near Pocatello, Idaho, where he grew up. In 1920, he moved with his parents to the harbor district of Los Angeles, where his older brother George was operating an auto repair shop. After Frank attended a trade school in Chicago, he and his younger brother Lawrence opened an electrical supply business in 1922 in the Los Angeles suburb of Hynes (now part of Paramount). The following year he married and eventually had three children. In 1927, he and Lawrence added an ice-making plant and entered the block ice business. They continued their ice business in 1939 but saw little future in that business with the advent of electrically operated refrigeration units. They decided to use their excess refrigeration equipment to open an ice rink nearby. 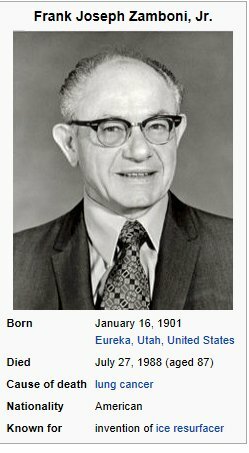 Winner of the 1991 World's Top Zamboni Driver Award; Answering Charlie Brown's question from Shultz's "Zamboni Machine Comic Series"
He obtained a patent for that innovation in 1946 and then in 1949 he invented a machine that transformed the job of resurfacing an ice rink from a three-man, 90-minute task to a one-man, 10-minute job. He applied for a patent that same year and set up Frank J. Zamboni & Co. in Paramount to build and sell the machines. He obtained his patent in 1953. In the early 1950s he built them on top of Jeep CJ-3Bs, then on stripped Jeep chassis from 1956 through 1964. Demand for the machine proved great enough that his company added a second plant in Brantford, Ontario and a branch office in Switzerland. Though the term Zamboni was (and remains) trademarked by his company, the name is sometimes improperly used for any brand of ice resurfacing machine.